For nearly 20–25 million Americans, varicose veins are a common condition—especially for those who spend an excessive amount of time sitting or standing, or for those who are obese, elderly, smokers or pregnant. 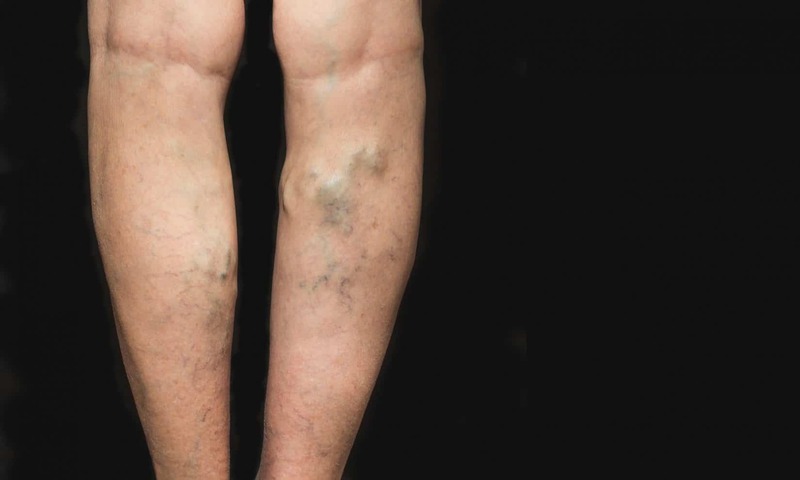 Thankfully, symptoms of varicose veins are usually very mild. Although there is some swelling and aching, these veins are mostly just an eyesore with little to no real health threat associated with it. When we sit or stand for too long over an extended period of time, it becomes harder for our veins to fight back gravity to get blood flowing back up to the heart. This can cause valves to malfunction and create a backflow of blood—typically the ones located in legs and feet. That’s how the appearance of these superficial varicosities begins to surface. For those who are looking for a more immediate solution to treat the symptoms of varicose veins (as well as spider or reticular veins), a minimally invasive option is sclerotherapy. Sclerotherapy can be an effective treatment and can be performed within a physician’s office in just a few minutes. It’s a common procedure that involves sclerosing agents like Polidocanol and Sodium Tetradecyl, which are injected into the affected veins. Most patients are able to resume normal activities immediately following the procedure. Learn more about sclerotherapy online or contact us today to find the vein therapy solution that best suits you.